If you have ever visited Chicago then you will be well familiar that it is the third most populous city in United States of America. The Chicago skyline is considered to be among the most magnificent skylines in the whole world. Although as a visitor people may find so many ways to see Chicago and its buildings but Chicago 360 Tilt is one of its kinds. The Chicago 360 Tilt is present on the 94th floor of Jan Hancock Tower. 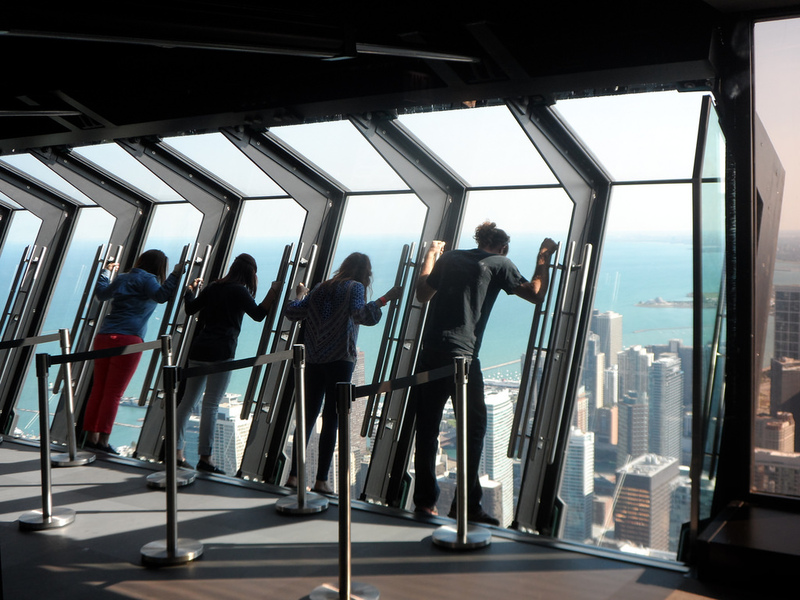 It is a closed glass and steel platform that is 1000ft high and let visitors see the magnificent view of Chicago. Patrick Abisseror is the person who owns Chicago 360 Tilt and he is also the CEO of Montparnasse 56 Group. The Chicago 360 Tilt holds eight visitors at a time that enjoy the thrilling experience. They have designed and developed a moveable platform that lets people to see Chicago. They also offer you group reservations but they should be done 72 hours in advance. To know more about it watch video here. If you are interested in getting the ride then get more details and tickets from their official website. And if you have gone there at Chicago 360 Tilt then share your experience with us.